Dana designs its components to offer the most advanced product solutions to fit your heavy-load needs. 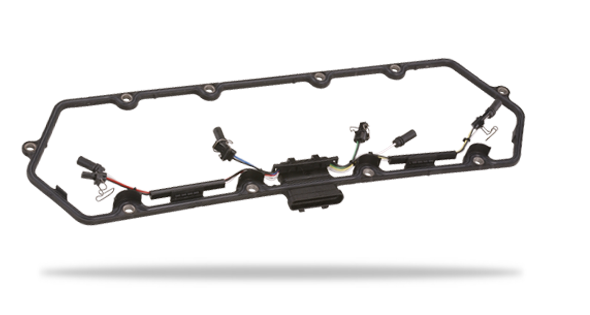 Our “electronic window” connector gasket employs the latest industry innovations to provide power connections for a variety of plug-ins. Sealed wiring sends an electronic signal directly through the “window” in the gasket, removing potential leak paths and lowering vehicle costs.